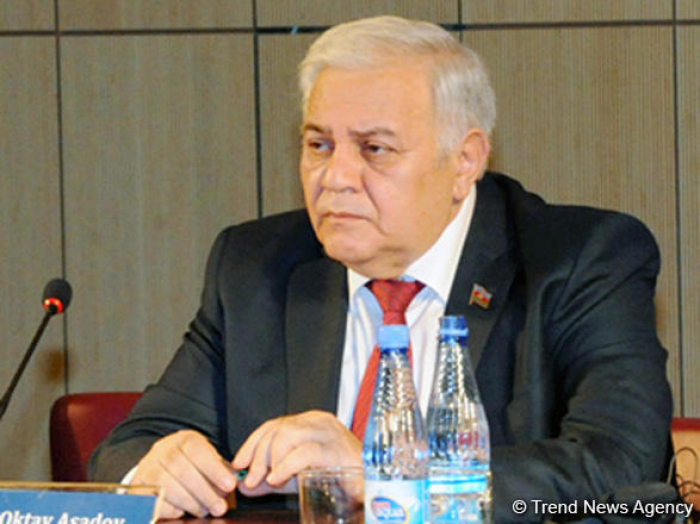 Youth, which constitutes an important part of the world’s population, may contribute to the achievement of sustainable development goals (SDGs) as the most dynamic social group, Speaker of the Azerbaijani parliament Oktay Asadov said, AzVision.az reports. He made the remarks at the 5th Inter-Parliamentary Union Global Conference of Young Parliamentarians in Baku on Dec. 14. Asadov noted that youth is a carrier of a very big intellectual potential, and holds an important place in the political, economic and social structures of many countries by acting as an important factor in the spiritual development of modern society. “I am sure that namely young people should play an important role in shaping the new world order,” he said. The speaker added that youth policy is an important part of state policy. Asadov added that holding this conference in Baku is a very important event in the political life of Azerbaijan. “I believe that young parliamentarians, representing five continents, 44 countries at the global conference, will receive comprehensive information about Azerbaijan, which plays the role of a bridge between East and West,” he said.